When missing participants leave balances behind, it can cause serious complications for administrators. Our search service is designed to help reduce costs and liabilities associated with DOL regulations and reflects our commitment to reconnecting participants with their retirement assets. Missing participants from retirement plans can be a drain on resources, impair effective plan administration and expose plan providers to fiduciary risks. We offer a thorough search service leveraging extensive databases to help locate missing participants and enable easy follow up. relieve increasing pressure from the Department of Labor (DOL). 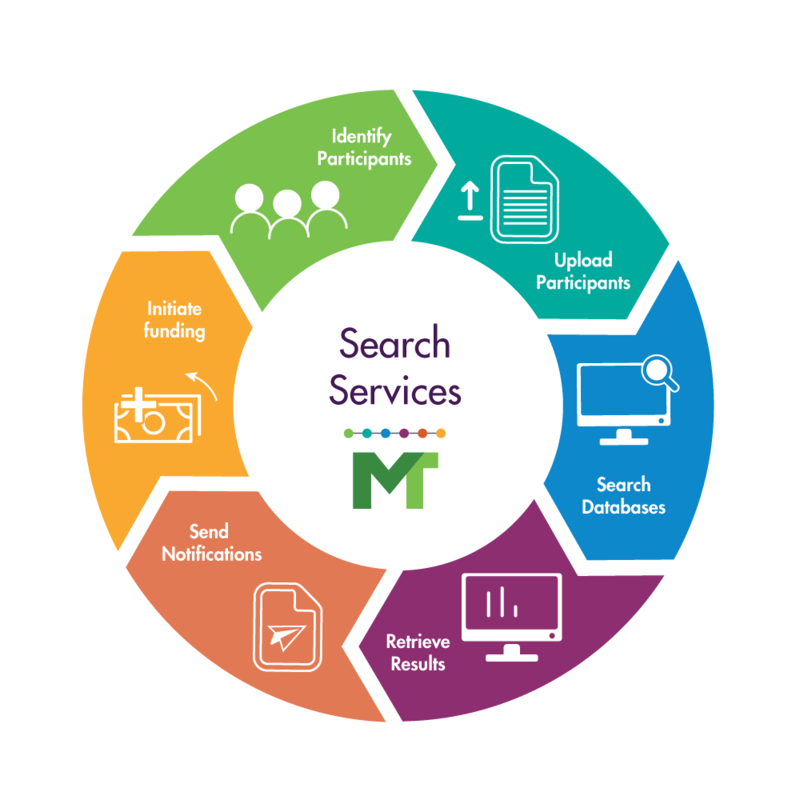 How does Search Services work? With as little as a name and social security number, Millennium can utilize its multi-step search process to identify inconsistencies in missing participant addresses, inaccuracies within participant data, and updates to life status. Within only a few days, we provide a cumulative report via a secure, password-protected document. For a reasonable cost, we can provide you with the information needed to help you fulfill one of your fiduciary responsibilities within a short time frame. We are here to help you through the process. Connect with an expert to get access to the Search Services portal.